Matteson Ellis has extensive experience in international anti-corruption compliance and enforcement, including the U.S. Foreign Corrupt Practices Act (FCPA). He is often called upon by companies to conduct independent internal investigations into potential FCPA violations. He has worked on anti-corruption matters in multiple capacities, including prevention, detection, remediation, defense, and enforcement. Mr. Ellis focuses particularly on the Americas, having spent several years in the region working for a Fortune 50 multinational corporation and a government ethics watchdog group. He is multilingual and is a frequent speaker on corruption matters in Mexico, Brazil, Colombia, Argentina, and other Latin American markets. Mr. Ellis has worked with U.S. and non-U.S. companies on all facets of FCPA compliance and enforcement, including legal analysis, internal investigations, third party due diligence, transactional due diligence, anti-corruption policy drafting, bilingual compliance training, compliance audits, corruption risk assessments, voluntary disclosures to the U.S. government, and resolutions with the U.S. government. He has performed complex, independent, and on-site internal investigations in over 30 countries throughout the Americas, Asia, Europe, and Africa. In Chambers Latin America, he is described as "one of the best compliance lawyers I have ever worked with, not just for his knowledge of the field, but also his accuracy and decisiveness in implementing compliance matters in complicated markets." Mr. Ellis has also investigated fraud and corruption and supported administrative sanctions and debarment proceedings for The World Bank and The Inter-American Development Bank. Mr. Ellis is ranked in Band 1 of Chambers Global 2018 and Chambers Latin America 2018, was selected as a "Rising Star" in Ethisphere Institute's Attorneys Who Matter, and was named one of Latin America's top 100 lawyers by Latinvex, which recognized him as "the leading expert on the Foreign Corrupt Practices Act and Latin America." According to Chambers, he "is totally focused on Latin America," and clients say, "he is exceptional; we hold him in very high esteem." He has been quoted in The Wall Street Journal, The Washington Post, and numerous other publications on topics related to his areas of practice. Represented a $38 billion global private equity firm focused on oil and gas and alternative energy sectors in FCPA investigations and compliance matters since 2012. The engagement has included assisting the firm with mapping the portfolio according to corruption risk and implementing anti-corruption compliance oversight strategies for these companies, including internal investigations and compliance audits. We work directly with many portfolio companies to conduct third party due diligence, acquisition due diligence, bilingual trainings, compliance program enhancements, and compliance audits of venture partners. Successfully represented a Latin America-based multinational corporation (the largest company in its country) in three corruption internal investigations, performing most of the work in Spanish, each investigation involving interactions with U.S. regulatory authorities and the external auditor, with no FCPA enforcement action taken. Served as core outside investigative counsel for a global construction company following its parent company's multi-billion-dollar global settlement for foreign bribery, assisting the company in handling sensitive issues throughout the region, utilizing Portuguese and Spanish fluency, and coordinating with the company's Independent Compliance Monitors in the United States and Brazil. Supported a Latin America-based mining company (the largest exporter in its country) with two internal investigations into allegations of improper dealings with local communities, and assisted the company with devising compliance remediation strategies, conducting most of the work in Spanish. Counseled five companies awarded oil and gas exploration and infrastructure development blocks in Mexico's historic energy sector opening on the development of anti-corruption compliance programs tailored to Mexico risks. Retained by an Am Law 100 firm to serve as an expert witness on an FCPA matter in an international arbitration based in Europe. Successfully represented an energy services company in a World Bank sanctions proceeding, convincing the World Bank Sanctions Board to apply a non-public Letter of Reprimand instead of public debarment recommended by the Integrity Vice Presidency. Retained by the Inter-American Development Bank to provide guidance to the Argentine government on integrity guidelines in a national roads construction project. Retained by the United Nations Office of Drugs and Crime to advise the Colombian government on the design and implementation of its anti-corruption compliance standards and guidance pursuant to the country's 2016 Transnational Bribery Law and trained local enforcement authorities to assess companies' compliance efforts. Matteson Ellis will speak at the American Conference Institute (ACI) Mexico Summit on Anti-Corruption on March 27, 2019, in Mexico City. 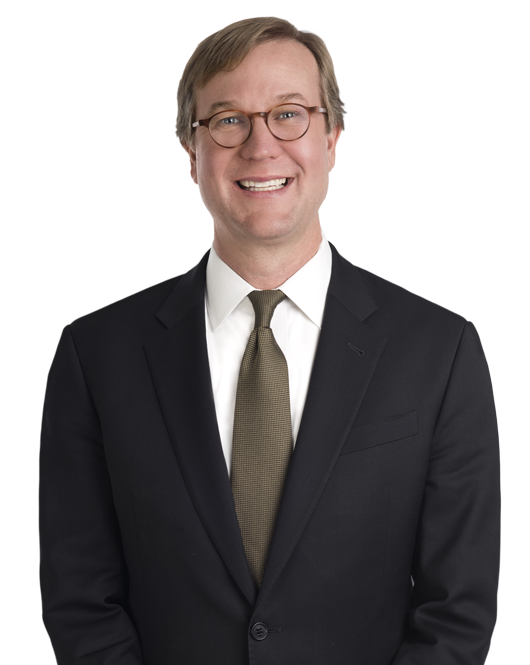 Ellis will interview the keynote speaker, Christopher J.
Matteson Ellis commented on TRACE International's 2018 Global Enforcement Report, which indicates that government authorities outside the U.S.
Washington, DC, February 21, 2019 – Miller & Chevalier is pleased to announce that Matteson Ellis was named one of Latin America's Top 100 Lawyers by Latinvex. In this blog post, Matt Ellis and Quinnie Lin* discuss recent work by the Chilean Presidential Advisory Council Against Corruption, Influence-Peddling, and Conflicts of Interest (Council).